Doo Wop Thursday With Speedo! Join Matt The Cat for a very special Doo Wop Thursday, as the legendary Earl Carroll of The Cadillacs prowls on The Night Prowl Show. 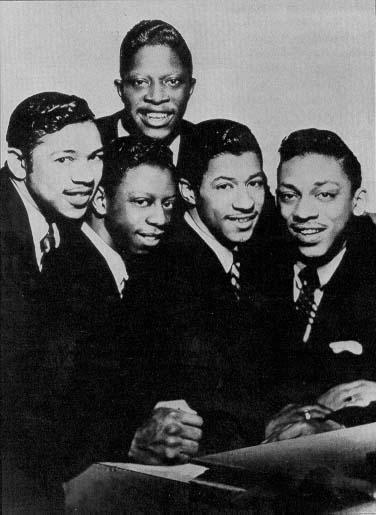 The group formed in Harlem in 1953 and is still going strong with 2 original members; Carroll and bass Bobby Phillips. Learn more about what the Cadillacs are up to on their official site SpeedoAndTheCadillacs.com. Earl “Speedo” Carroll will join Matt The Cat, Thursday, November 1st (one day before his 70th birthday) at 8pm ET. He is probably the most influential post WWII guitarist, having effected the styles of everyone from B. B. King and Chuck Berry to Jimi Hendrix, who mimicked his antics on-stage. This week’s HARLEM will look at T-Bone’s beginnings with Capitol Records and move into his heyday with the Black & White and Imperial labels during the late 1940s into the early 1950s. Rock n’ Roll guitar work owes a lot to this often overlooked legend. 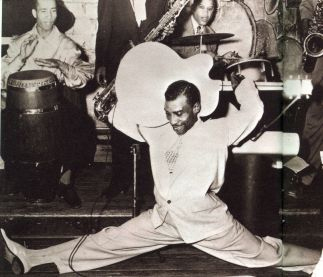 Matt The Cat uncovers the essential T-Bone Walker, this week on HARLEM. Halloween Night: Death By Teenage Is BACK! This Halloween, The Night Prowl Show brings back “Death By Teenage: Laura, Patches, Angel, Laurie: Teen Tragedy Songs”. I’ll also have scary stories, goolish songs and freaky delights. Better to treat than trick! Halloween Night, Wednesday, October 31st.